What is Impact Diet Whey? 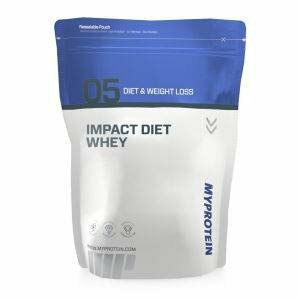 Impact Diet Whey is a great tasting supplement which contains a unique blend of Whey Protein and Milk Protein Concentrate combined with a low carbohydrate content sourced from low GI (Glycaemic Index) carbohydrates. Impact Diet Whey also has a number of added ingredients including Green Tea Extract, Acetyl-L-Carnitine and Essential Fatty Acids. Impact Diet Whey has a high protein content that will contribute to the growth and maintenance of lean mass. The added Instant Oats are a healthy source of low GI (glycemic index) carbohydrates providing a sustained energy release which help to maintain normal blood sugar levels. The beta-glucans from the oats will contribute to the maintenance of normal blood cholesterol levels and to the reduction of the blood glucose rise after it is consumed. Who is Impact Diet Whey Suitable for? Impact Diet Whey is ideal for anyone taking part in intense, physical exercise looking to increase daily protein intake without consuming unnecessary carbohydrates, fat or calories. Impact diet whey can be taken in a post workout shake or as a handy meal replacement. You may want to try blending impact diet whey to create a smoothie or mixing it into your favourite greek yogurt.